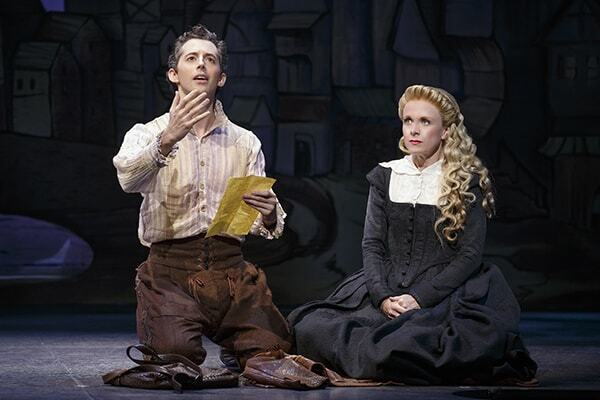 Nothing’s as amazing as a musical! One of my friends won the Something Rotten! lottery a few weeks ago and asked me if I wanted to come along. Obviously, I said yes! Here’s where we lay our scene: it’s England in the 1590s and everyone’s, like, totally obsessed with this guy Shakespeare. Except for our protagonist, Nick Bottom, who runs a rival theatre troupe and just couldn’t hate Will any more. Unfortunately, his younger brother Nigel, a genius playwright who’s insecure about the quality of his own work, reveres Shakespeare and doesn’t realize that his idol is actually stealing from him. In an act of desperation, Nick hires a soothsayer to tell him what the future of theater looks like, as well as what Shakespeare’s most beloved future play will be called. The soothsayer Nostradamus gets it half right: he foresees a strange spectacle called a “musical” and prophesies that in centuries to come, audiences will still be raving about a Shakespeare play called…”Omelet.” You can kind of guess what kind of hilarity ensues. 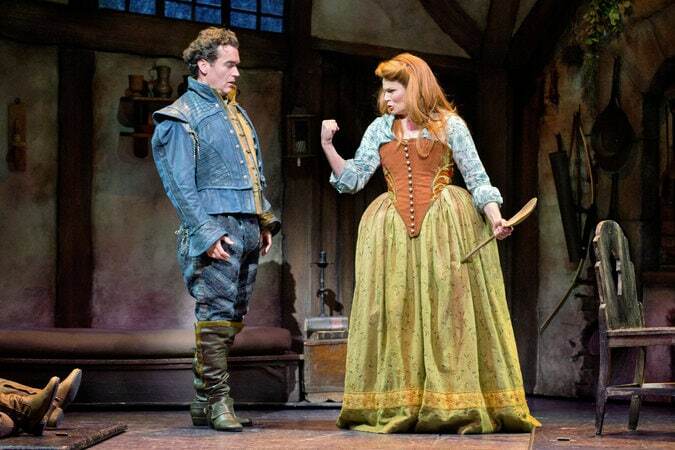 Outfits Inspired by Something Rotten! 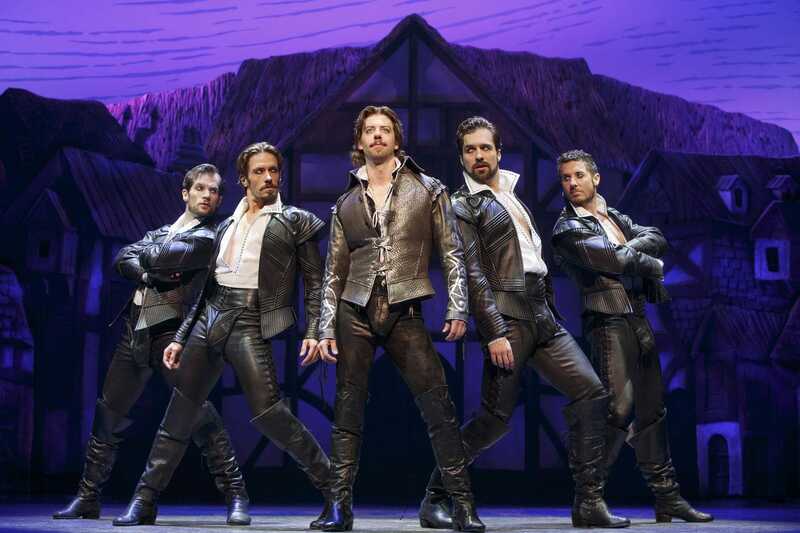 In Something Rotten!, Shakespeare is something like an amalgamation of Captain Jack Sparrow, the Rum Tum Tugger from Cats, and the Shakespeare in Love version of the playwright. He’s hot stuff and he knows it oh-so well. For an outfit that channels Will’s swagger (without the codpiece), pair a trendy lace-up bodysuit with ripped jeans and a leather vest. Amp up the drama with fun accessories, like over-the-knee boots, a bronze purse, and plenty of eyeliner. Finally, add a quote from A Midsummer Night’s Dream to your phone case for a little extra touch of Shakespeare. Nick’s theater troupe fails to pay the bills, and his plucky wife Bea isn’t about to let the family starve. She’s an early feminist who believes she can do anything a man can do. Against Nick’s wishes, she decides that if her husband isn’t going to keep the household afloat, then she will. For an outfit inspired by both members of this stubborn couple, pair a floaty blue top with a structured mustard jacket. Add a pair of sleek gray boots similar to Nick’s and a pair of leather earrings. Finally, pin on this eggs-traordinary reference to Omelet! The Musical. What Nigel Bottom lacks in confidence and cool, he makes up for with talent. Although he’s incredibly shy and awkward, he’s a prodigious writer who truly loves words. When he meets fellow literature-lover Portia, he’s smitten. Unfortunately, Portia is the daughter of a prominent Puritan who has condemned poetry and theater as frivolous and sinful. 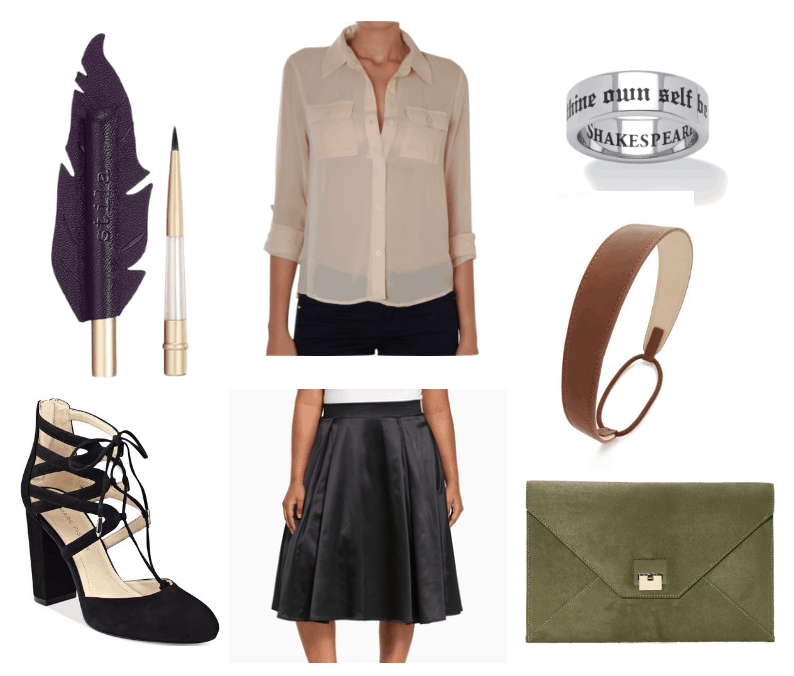 Try out a look inspired by Nigel and Portia’s forbidden romance by pairing a tan blouse with a satin skirt reminiscent of Portia’s Puritan gown. A quill-shaped eyeliner pays homage to Nigel’s job, while an engraved ring features a line that Nigel writes [which is subsequently stolen by Shakespeare]. Would you wear these outfits? 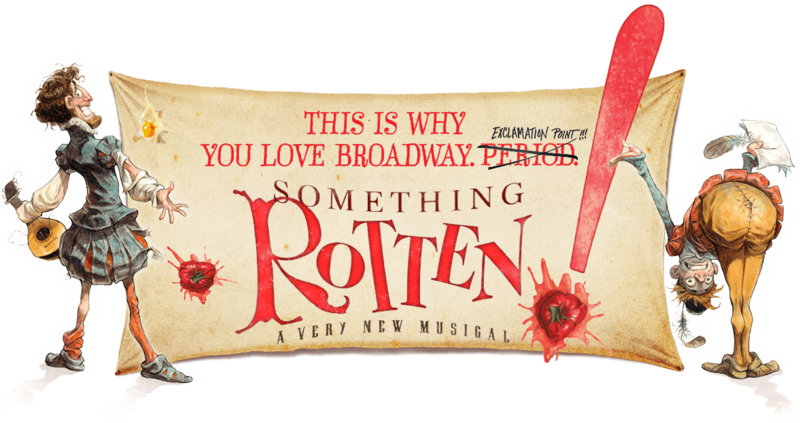 Have you seen Something Rotten! or listened to the cast soundtrack? What other inspirations would you like to see featured on CF? Let us know in the comments!